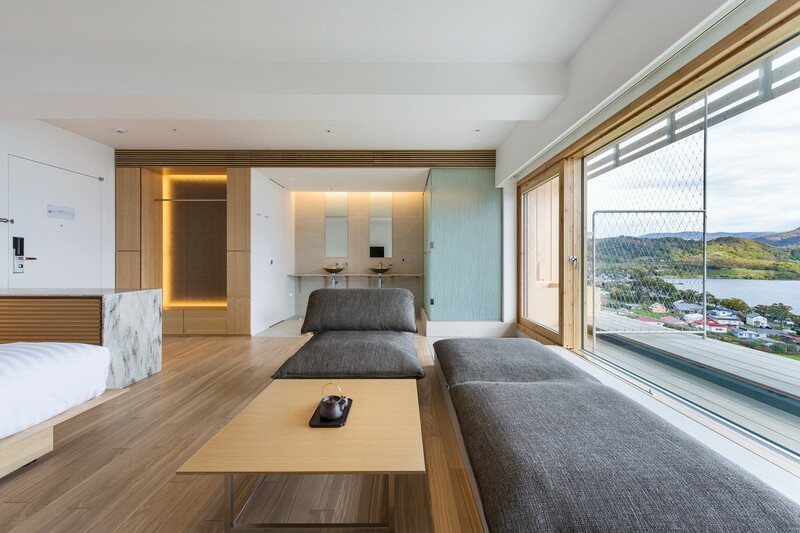 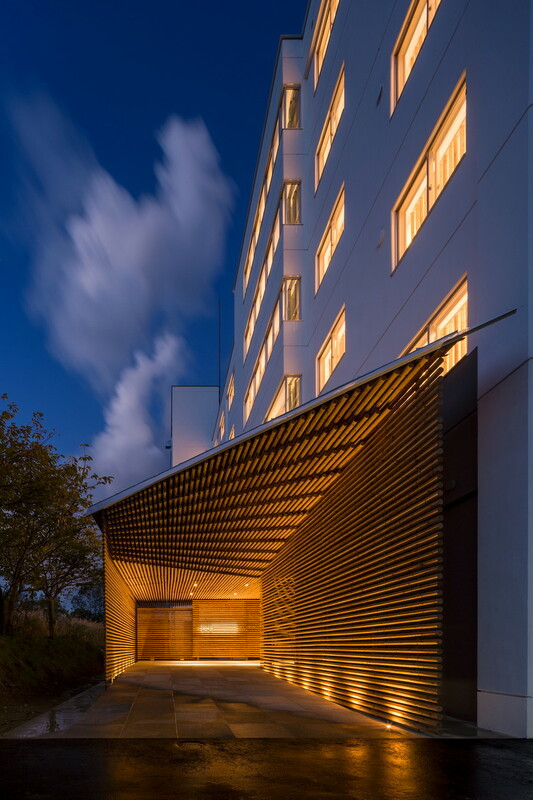 We transformed a nursing home located by the Lake Toya (in Hokkaido, Japan) into a boutique-typed hotel of wood and fabric. 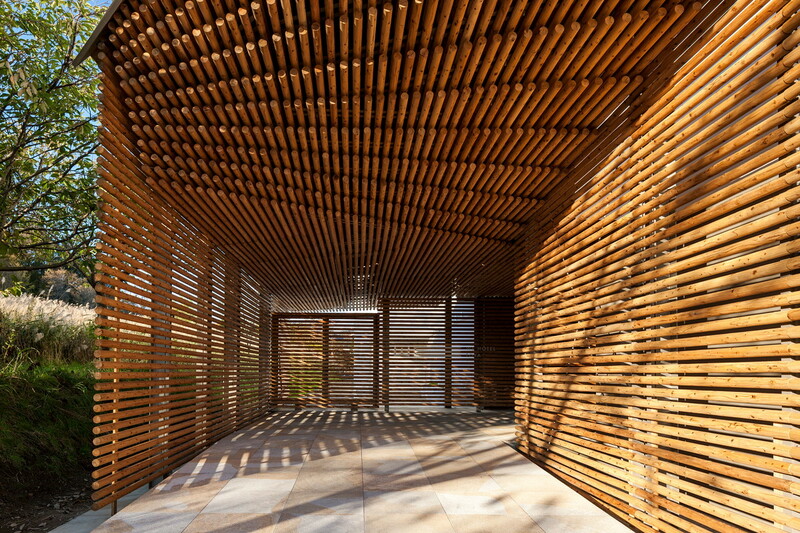 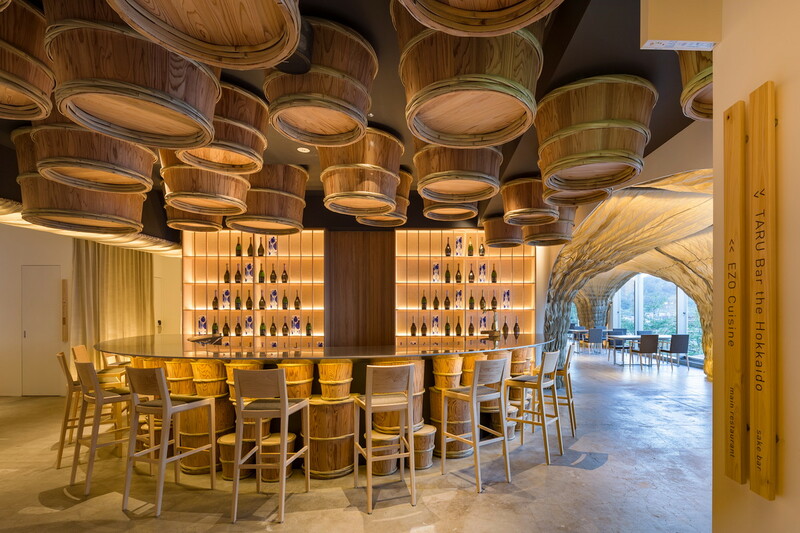 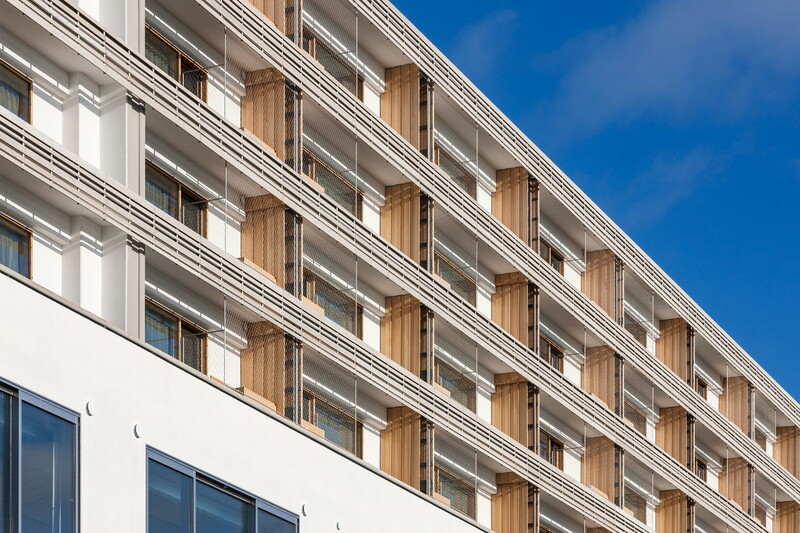 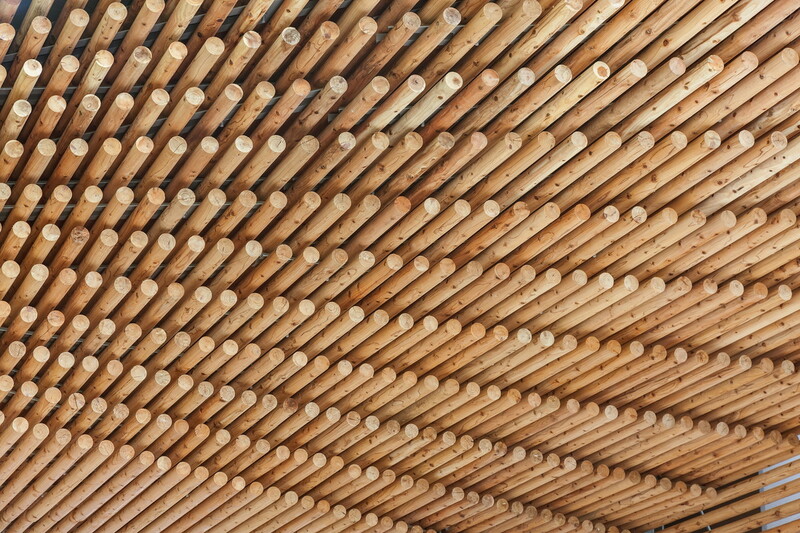 Locally produced cedar logs were applied both for the façade and the interior in order to create a space of comfort. 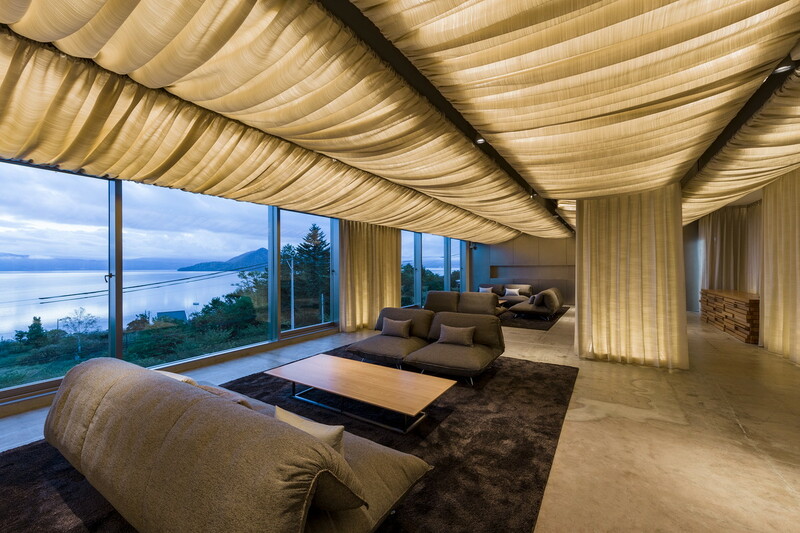 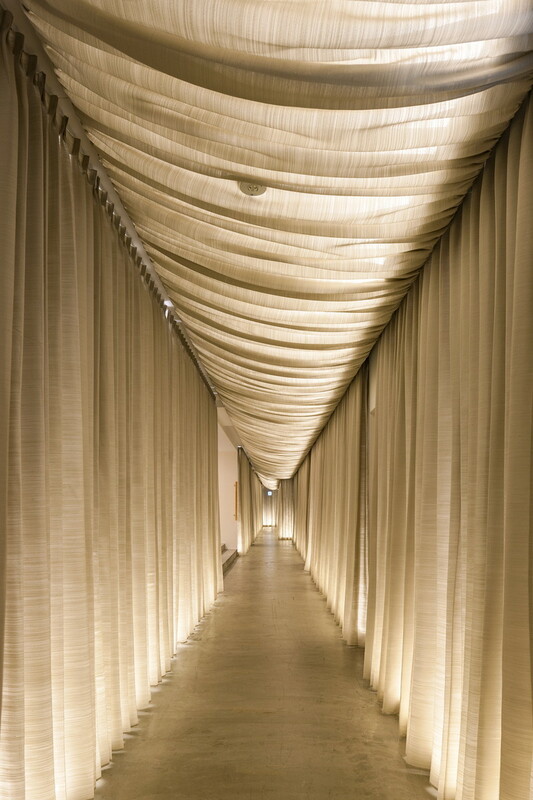 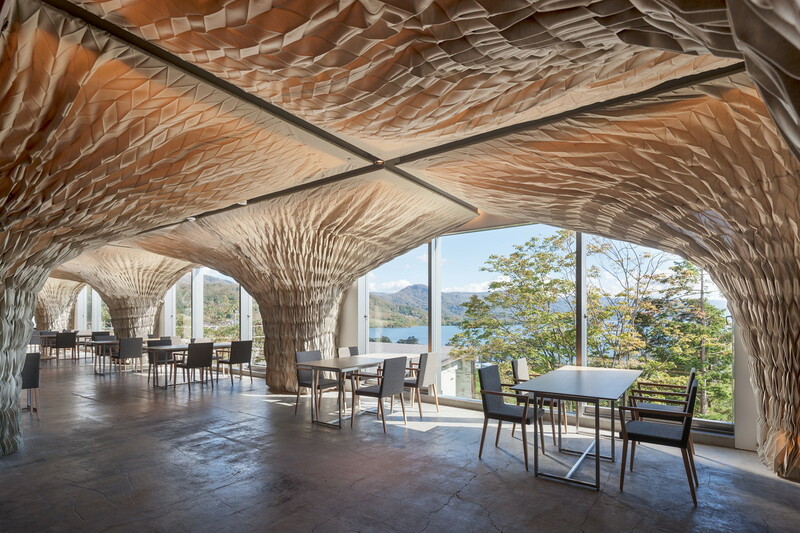 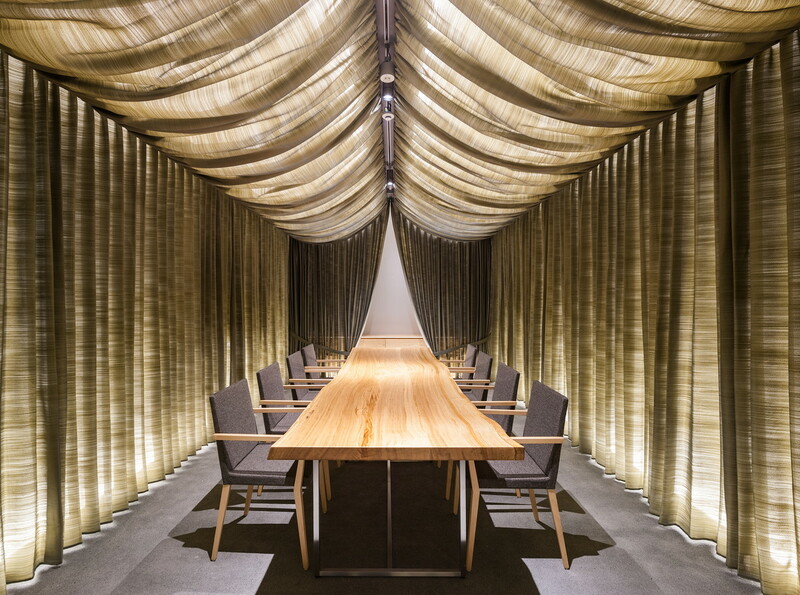 We also designed a cave-formed space with pleated cloths in the interior over which a magnificent view of the lake’s surface emerge right in front. 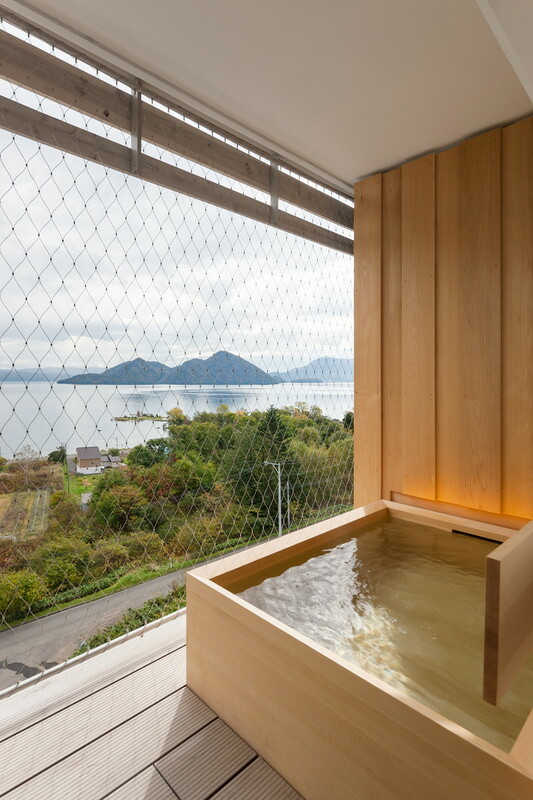 In the balcony of each guest room, a hinoki (cypress) bathtub is placed so that the guests can enjoy both the spectacular landscape of the lake and the fresh aroma of the tree.